What was supposed to be a PR bonanza is ending up as another black eye for Vladimir Putin, the heralded chess master of world politics. Mr. Putin’s humanitarian convoy is the equivalent of an arsonist who asks to be let through police lines carrying a bucket of water to douse the fire he set. Was Aeroflot 2074 The Real Target Of The Russian Missile? Who Is "Upstairs"? I have no special knowledge of whether or not Russia intended to shoot down Aeroflot 2074. I, like most others, hope it is not true. If true, we live in a highly dangerous world, in which a head of state, unconstrained by moral norms, will stop at nothing to achieve his goals. If true, Vladimir Putin, the unchallenged leader of an energy-rich, nuclear power, is willing to sacrifice 180 innocent Russian men, women, and children to further his own political goals. The order for such a plot would have to come from Putin’s desk. No rogue FSB-GRU operation of this magnitude is thinkable in Putin’s so-called power vertical. Although economists agree on little, they do know that there is not one modern example of a successful economy cut off from globalization. The old import-substitution models are thoroughly discredited. The success stories of the past half century – China, the Four Tigers, India, and Brazil – have succeeded by opening, not closing their economies. 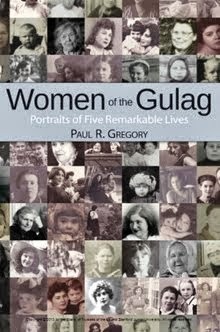 Well, Putin has assured his people that Russia is unique, but I doubt it can grow on its own reverting to old Soviet planned economy tricks. One of Russia’s most prominent economists put it this way: “It is a pure fantasy that something good can come of isolation.” Other sensible Russian economists, including the former dean of Russia’s top economics school, are already calculating the immense damage that sanctions will impose. The Western news media is already tallying the billions of dollars of costs French farmers and American cattle raisers face. No one thinks of tallying the costs to the Russian consumers, which are probably well in excess of the losses of the food producers from the unfriendly nations. The Russian Internet is not stupid. It is full of pictures of empty grocery stores from Soviet times. 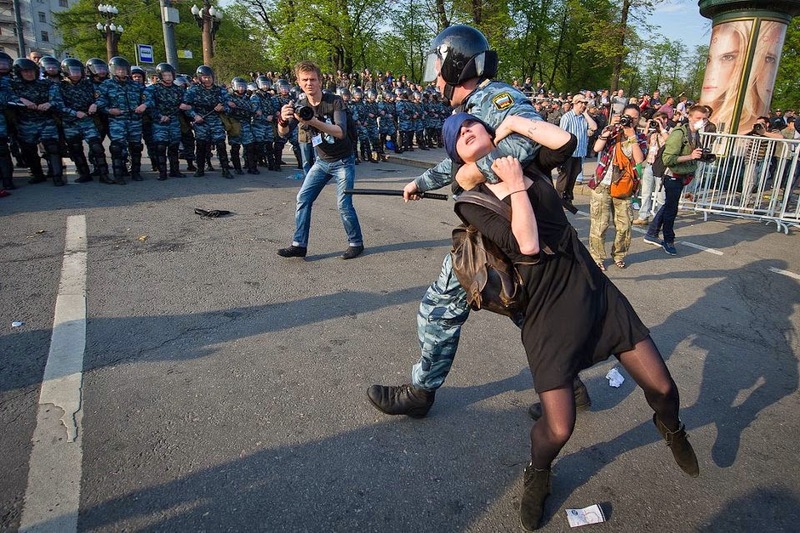 Remember the then 18 year-old Moscow University student, Aleksandra Dukhanina, sentenced to two years strict house arrest for throwing a rock at heavily armed and padded riot police in the May 2012 protests against Vladimir Putin. 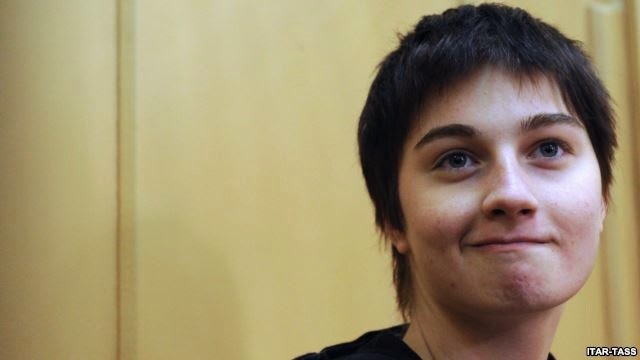 Aleksandra Dukhanina, a Russian activist and former student at Moscow State University, was just 18 years old when she was arrested at the Bolotnaya Square protests on May 6, 2012. Since then, she's faced the possibility of jail time and served two years under house arrest. Now free, and happily married, she talks to Mumin Shakirov of RFE/RL's Russian Service about what it means to spend two years as a prisoner inside your own home -- a fate that other activists, including Aleksei Navalny and Sergei Udaltsov, are currently experiencing. 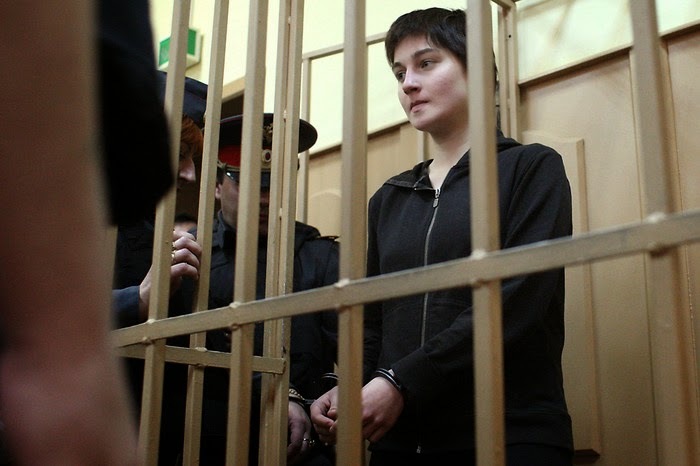 RFE/RL: What are the most important things you've learned as a result of your association with the Bolotnaya case? Aleksandra Dukhanina: The only personal learning experience that I can share is how not to die of boredom during two years under house arrest. That's perhaps the only expertise I can offer to help those in similar situations. Improvisation is the best way. I kept busy in a lot of different ways -- I can't even remember all of them now. But the main things were reading, drawing, exercising, and just talking with relatives. There are a lot of things to do, as long as you have an imagination. I also learned patience. Probably there's a better word for it. I learned to be a little cautious. You learn that through dealing with the police. In terms of what everyday things I learned, it's hard to say. RFE/RL: You've mastered a kind of diplomatic way of speaking. Or, rather, a legalistic way. Dukhanina: Well, diplomatic is putting it a little too strong. Legalistic, probably, yes. RFE/RL: Did you find yourself filled with a sense of hatred while you were imprisoned? RFE/RL: When you're under house arrest, do you get annoyed just looking out the window, knowing all those things are off-limits? Dukhanina: On the contrary, it's very nice that you at least know it's there. RFE/RL: Even in prison, people are allowed to go outdoors every day. Even if it's just for an hour a day, a prisoner can breathe fresh air. Under house arrest you can't go out at all. How did you deal with that? Did you at least have a balcony? Dukhanina: In terms of prison, it's really hard to call that the "outdoors." It's just a cement block, there's not even any dirt or grass. I doubt it helps anyone there. As for me, I didn't really have any way of solving that problem, I just set up my balcony in a very cozy way and sat there all day with a book. RFE/RL: Can you talk about how people under house arrest come to resent their own homes, even when it might have once been a place they dreamed about living their whole lives? Do you begin to feel like your house is ruined for you, that living there is unbearable? Dukhanina: No, that's absolutely not the case. For one thing, my house was just a place where I was waiting to go to prison, not prison itself. That's something else. To the contrary, I fell in love with my home even more, because it was my fortress. I was very connected to it and ultimately it was very difficult for me to leave this fortress, to leave this comfort zone. It's nice at home, it's hardly something that could be ruined. Even if they tried, we'd just work until it was cozy and peaceful again. RFE/RL: Did you have access to a computer? Dukhanina: No, I was forbidden from using the Internet, as well as the telephone or any means of communication. The only people I was allowed to spend time with were relatives who are registered at this apartment. RFE/RL: In two years, how many times did you go outside? Dukhanina: Only when they took me to court. All of my movements were tracked by an electronic bracelet that I wore on my leg. At the courts I was always accompanied by someone from the Federal Penitentiary Service [FPS]. RFE/RL: Were you followed? Was a camera installed behind your door? Dukhanina: At first, yes, I was paranoid that there were cameras and microphones behind every corner, that someone was following me. But gradually I realized that wasn't the case, that they didn't need that at all. The bracelet had a device with two blinking lights that work only when I was located within a certain radius of 200 meters. If I left the apartment, for example, the lights would stop working. If they were blinking, I was within range. All very simple. There was no GPS necessary. RFE/RL: Did the bracelet need to be recharged on a regular basis? Dukhanina: No, not so often. It was wireless. There were maybe three or four glitches in the entire two years. They would just give me a new device, which, by the way, works even when you're taking a hot shower. As long as the bracelet fit you, everything was fine. It was worse when they gave you the wrong size and it was too tight or just uncomfortable. Then you had to figure out a way to deal with it. RFE/RL: Could you go out to the entryway and walk around the house? Dukhanina: Of course I didn't try that, but in theory it was possible, if that would have been within the radius. In those two years I didn't have a single violation; I was determined to create a relationship where they trusted me. The FPS was supervising me while I was under a suspended sentence, roughly speaking. And I managed to do it. The fact that I didn't have a single violation worked for me at court. If a person in pretrial detention behaves perfectly, with no violations -- like Yaroslav Belousov, for example [who was sentenced to two years and six months in a minimum security prison] -- it's even noted in the sentence that detention officials vouched for his character. It was the same with me and the FPS. RFE/RL: How did you manage to get married under house arrest? Dukhanina: It's very simple. My beloved [Artyom Naumov] presented me with a ring through my aunt, it was just like "Romeo and Juliet." [Laughs] It's not that complicated. There's red tape, you need to receive permission from a judge, but it's really no more complicated than getting married in jail. We went to ZAGS, the marriage registry office; they gave me permission to go there by myself, unaccompanied. I was even allowed to stay out for two hours afterward. RFE/RL: And then you and your husband parted ways and went to your own apartments. Dukhanina: Yes. He wasn't registered to my apartment, so he wasn't allowed to be there with me. RFE/RL: Did you meet him before you were put under house arrest? RFE/RL: So your romance had started earlier. RFE/RL: So you only saw him once in two years -- at your wedding? Dukhanina: Yes. Well, and then during my court hearings. But now I live with him, because immediately after the wedding we filed a petition saying that I could be registered at his house, since he was my official husband. And I had the right to do that and to move to his place. It worked the second time we filed. RFE/RL: So how much time did you spend alone? And how much time were you under arrest together with your husband? Dukhanina: A year and a year. One year alone, one with my husband. More or less. RFE/RL: Those are two totally different lives! Dukhanina: Of course. [Laughs] Though I can't say, despite what many people think, that being married somehow drastically changes a person. No, for me it was just a stamp in my passport that has some legal significance. We were sure that I would be sent to a penal colony, so for us, at least, it wasn't the stamp that was going to change something about our relationship. RFE/RL: Don't be shy. When you have a husband, at least you have someone to take care of you. Dukhanina: Well, I don't know.... In principle, I take care of myself. It's just having a person you love nearby. It's pleasant, it's good, it's warm. It's support, in any case. Just as I am his support. RFE/RL: Even under house arrest? Dukhanina: About little things, of course. That's true for everyone, I think. RFE/RL: Your husband could leave, slam the door, and go out. You couldn't do that. RFE/RL: Can you say that love is stronger when it's put under such extreme circumstances? Dukhanina: I think so. I can't speak for everyone, but in my case, it's true. We've become so connected and intertwined that I simply think we don't have the right to abandon each other. It really brought us close, it strengthened us, tied our destinies together with a strong knot. RFE/RL: Did you learn how to cook during your two years under house arrest? RFE/RL: When you lived alone, you probably cooked. Dukhanina: I've always cooked. In principle, my family has never had specific gender roles, where the wife cooks while the husband is out tinkering in the garage. RFE/RL: Did anyone -- lawyers, friends, supporters -- advise you to get pregnant after you got married as a way of shortening your sentence or avoiding prison altogether? Dukhanina: Yes, and it was the most idiotic advice. It was extremely irritating. I was categorically against it, because it's an extremely unconscionable and selfish thing to do. We have millions of young mothers and pregnant women serving in prisons, and to hope for luck and leniency, sitting and wondering as you put an innocent life at risk -- it's just disgusting. RFE/RL: Why did you go out on Bolotnaya Square? Dukhanina: I went out because I wanted to support people who are small in number. To show that we exist. RFE/RL: And why specifically were you placed under house arrest? Dukhanina: It was Articles 318 and 212 [of the Russian Criminal Code], participation in mass unrest and use of violence against a public official. Article 212 -- the participation in mass unrest -- wasn't tied to anything specific, it's just a classic of the genre. With Article 318, they accused me of throwing seven things, two of which hit a victim. The first time it was in the stomach, but he didn't feel anything because he was wearing a bulletproof vest. The second thing hit him in the shoulder, but he wasn't sure that it was me because he didn't see whether it was actually me who threw something. When he turned around he said I allegedly looked like I had just thrown something, so he assumed that it was me. But the most interesting and annoying aspect of this story is that out of seven throws they have seven videos that allegedly prove my guilt. If you're attentive and logical, you can see that these are seven identical videos, filmed by different people from different angles, that are being treated as seven different incidents. I'm the only one who made it through with a suspended sentence -- three years and three months for both articles. RFE/RL: You've been a civil activist, a defender of the Tsagov forest, a member of the Occupy Abai camp, where you ran a vegetarian cafeteria, an activist with the "Food not Bombs" movement. Are you going to continue to participate in activism, or is this chapter of your life over? Dukhanina: I've already answered similar questions many times. Yes, I'll continue after my suspended sentence is served, as long as they don't create any other obstacles or inconveniences to threaten my freedom or the freedom of my loved ones. RFE/RL: Do you have any plans to leave Russia once your suspended sentence is over? Dukhanina: Forever? I don't know. On the one hand, yes, I'd like to. But on the other hand, I'd like to stay, because I understand that in any country there are things that are wrong, things that are bad. RFE/RL: Do you have a profession in mind? RFE/RL: So we can conclude that you love animals more than people? Dukhanina: That's for sure! [Laughs] Much more, yes.